Since back in the day, when Norton’s CrashGuard consistently crashed it itself rather than made Windows more stable, I’ve been skeptical about programs that promise to “improve” Windows in real time. Iolo’s System Mechanic 12.7 does nothing to change my mind. In fact, while it offers a nice set of Windows housecleaning utilities, enabling its touted real-time optimization features actually proved a significant drag on overall Windows 8.1 performance. Before getting to the damning test numbers, some of the stuff that System Mechanic does well: There’s an excellent registry cleaner and an equally nice registry defragger; good disk cleanup, wipe, and defrag utilities; a start-up editor and a driver updater; a duplicate file finder; a private information eraser; and a thorough system information reporter. 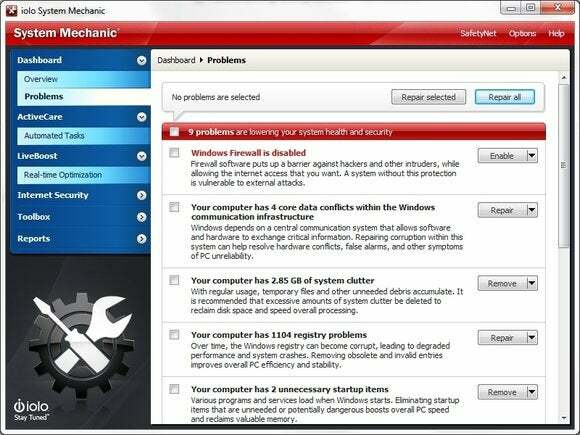 System Mechanic’s Super Control Panel groups and lists virtually every Windows setting and option in a single easy-to-understand-and-browse location. There’s one other System Mechanic feature that Microsoft and many others should consider copying—the Super Control Panel. In a world misguidedly obsessed with icons, the Super Control Panel’s plain-language listing of Windows options and settings is refreshing and easy to navigate. 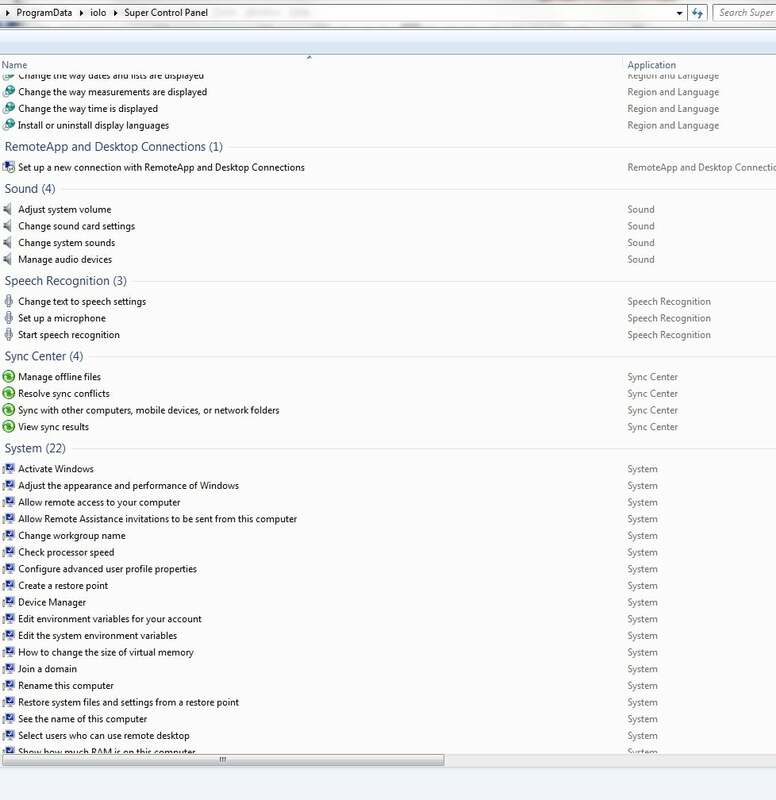 For instance, there’s an entry that says “Create and format hard drive partitions.” That’s a heck of a lot easier for most users to find and understand than tracking down Computer Management\Storage\Disk Management and right-clicking on a partition. 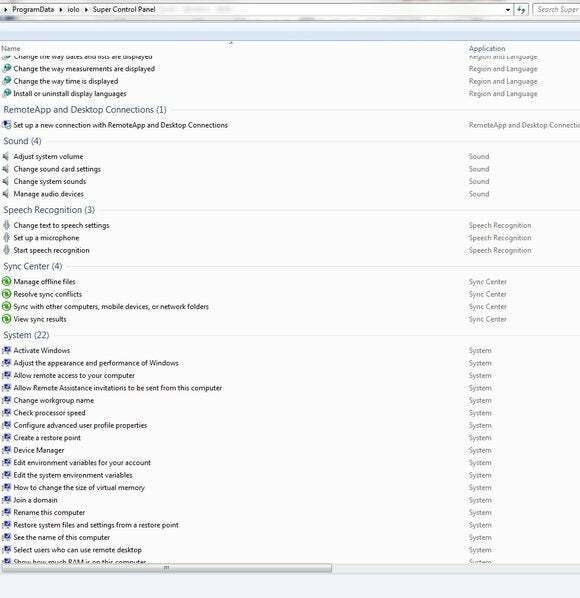 Ironically, System Mechanic makes finding Windows options easier, but fails to apply the same technique to its own interface. The suite’s launch app is so rife with collapsible navigation panels and marketing monikers such as ActiveCare, LiveBoost, Energy Booster, CRUDD Remover, and Designated Drivers, that it’s not nearly as easy to browse or learn as the Super Control Panel. System Mechanic’s opening dialog will take you to tutuorials or the company’s website for support. Kudos to Iolo for its utilities and innovative presentation of Windows options, but a big what-the-heck for real-time background optimization, which dropped the WorldBench 8.1 score of our Core i7-4500u-based, 16GB Dell Inspiron 7537 test platform from 65 to 58. The three real-time components -- OptiCore, RAMJet, and AcceleWrite -- promise to prevent programs from hogging the CPU, return unreleased memory to the system, and prevent fragmented disk writes. In reality, they doubled the time our compression test took, and lowered storage system performance by a good 20 percent. Thinking perhaps System Mechanic’s real-time optimizers might have a better effect on Windows 7, I ran Crystal Disk Mark and PCMark 7 on my own W7 SP1 system. The results with System Mechanic were slightly slower, but too close to call. Passmark Performance Test 8 results under Windows XP (SP3 is required) were virtually identical. While System Mechanic’s real-time optimizers didn’t appear to put any drag on Windows 7 and XP SP3 performance, there was no improvement either. The launch app groups System Mechanic’s many utilities logically, but ironically, isn’t as easy to use as the program’s Super Control Panel. 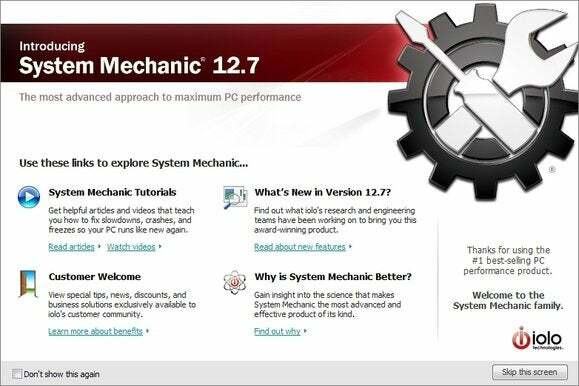 System Mechanic 12.7 carries a $50 retail price tag, but is heavily discounted by Iolo. We’d love to tell you exactly how much, but the price varied with the browser and apparently number of times we visited that site. We saw it for as little as $15 and as much as $40. Whatever the price, don’t buy it thinking you’ll get a boost in performance from the real-time utilities—you might get just the opposite. However, its collection of occasional-use utilities is top-notch. The free version, which might be all many users need, is definitely worth a look. Buy this suite for its Windows maintenance utilities, not its real-time optimization, which slowed Windows 8.1 significantly in our tests.